Second only to Tokyo, Osaka is one of the largest cities in Japan. It is divided into several distinct districts. The Umeda District, located in the Kita ward, is home to Osaka Station City, a recently renovated and beautiful train station and shopping complex featuring an open floor plan and glass ceiling. Why is this busy transportation hub referred to as Osaka Station City rather than just Osaka Station? One reason is that the Station City houses Osaka Station, along with five other railway stations, including the non-JR Umeda Station. Don’t let names confuse you – check out all that Osaka Station City has to offer. 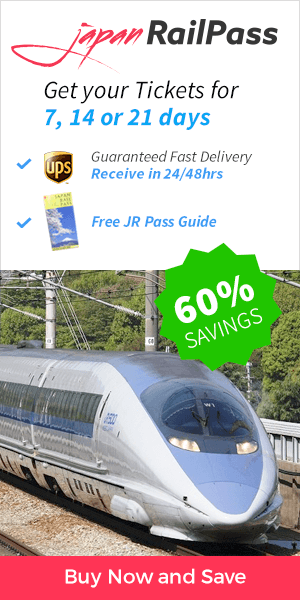 Your Japan Rail Pass makes traveling around Japan easy and affordable. The JR Pass is valid on most Shinkansen and JR trains. The Shinkansen bullet trains do not directly serve Osaka Station. The nearby Shin Osaka Station serves as the Shinkansen hub; Shin Osaka is a mere three-minute train ride from Osaka Station on the JR Tokaido-Sanyo line. Osaka Station is a primary terminal for trains on JR Takarazuka Line to Sanin and the JR Kyoto Line to the Hokuriku regions. Additional JR lines – including the Osaka Loop, Yumesaki, and Kobe lines – can be accessed from Osaka Station. These include limited express trains such as the Thunderbird, Sunrise, and Twilight Express. The Rapid Kansai Airport train is also available. 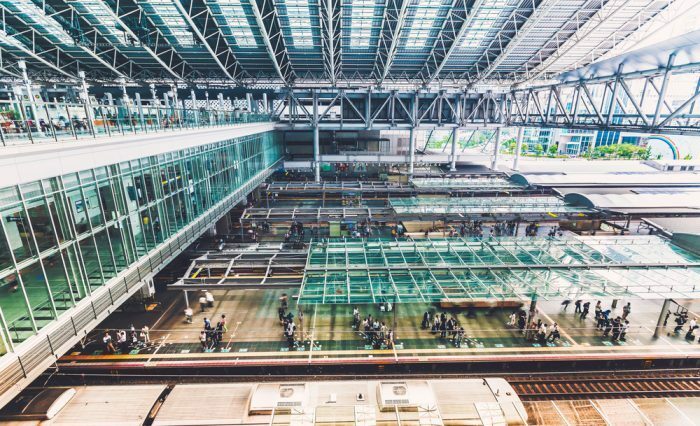 The JR Osaka Loop Line is one of the most useful for visitors, as it provides access to many places of interest, including connection to Kansai International Airport. Tanimachi Subway Line’s Higashi-Umeda Station. If arriving in Osaka via Shinkansen at Shin Osaka Station, transfer to a non-Shinkansen JR line to Osaka Station. The stations are located only three to four minutes apart. Namba Station can be accessed using either of the subway lines, with an arrival time of approximately eight minutes. You may enter and exit the station via the gates on the ground floor, and you can access any platform from the ticket gates. Bus and taxi services are available. Also, there are coin lockers on the 1st and 3rd floors of the main station building. Within the station’s main building, you will find restaurants and shops such as Yodobashi Camera and the Hankyu and Hanshin department stores. On both the north and south sides of the station are buildings housing restaurants, shops, and entertainment opportunities. These areas are connected by a bridge called Toki no Hiroba – translated Time and Space Plaza – spanning the railway tracks. The North Gate Building contains a shopping complex as well as unique green spaces that are distinctive of modern Japan. The Lucua shopping complex houses hundreds of shops scattered across twelve floors. It is also home to restaurants, a multiple screen movie cinema, and an athletic club. The building’s roof is occupied by the Tenku no Noen, or Sky Farm. By taking the stairs from the eleventh floor, visitors can enjoy a relaxing break among budding fruit and vegetable plants. Or, you may enjoy the terraces on the tenth and eleventh floors – the Kaze no Hiroba, or Wind Plaza, and the Yawaragi no Niwa, or Healing Garden. The South Gate Building contains the JR Hotel Granvia Osaka, recreational areas, a medical clinic, and the Daimaru Department Store, seventeen floors of shops and restaurants. One store of note to animation fans is the Pokemon Center. Three terraces spanning the fifteenth to seventeenth floors make up the Taiyo no Hiroba, or Sun Plaza, complete with a patio restaurant and spectacular views of the Umeda skyline. Where will your adventures in Osaka take you? To urban experiences or historic temples, shrines, and castles? The choice is yours – your time in Osaka is certain to be a vacation to remember.